Atletico Madrid superstar Antoine Griezmann believes a Frenchman should win the Ballon d’Or this time around given Les Bleus were crowned the world champions. France secured their second World Cup crown over the summer after they managed to outclass Zlatko Dalic’s Croatia by a comfortable 4-2 scoreline in the final. 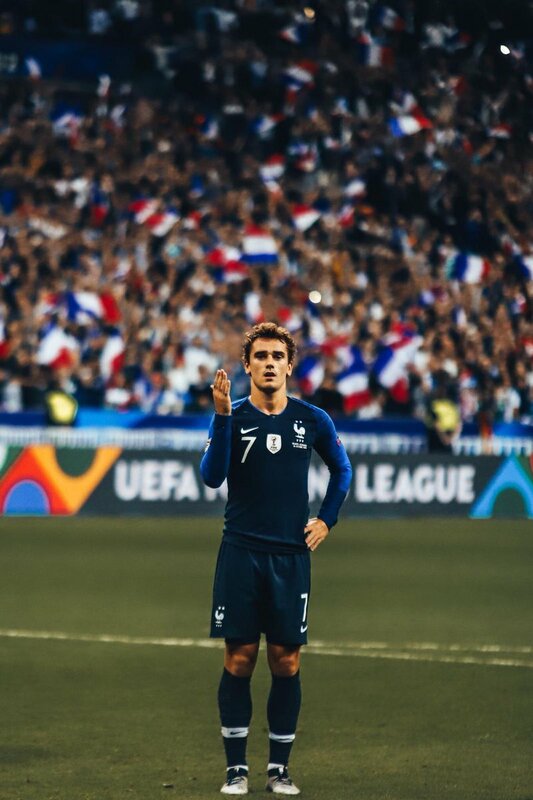 Speaking to France Football, Griezmann feels one of his countrymen should be awarded with the Ballon d’Or this year, given they were the best team at the global tournament in Russia. He added that he would personally love to win the Ballon d’Or to join the likes of Cristiano Ronaldo and Lionel Messi in the hall of fame. “, Despite Griezmann’s comments, none of the French players appears favourites for the prestigious accolade “to be announced later this year. At present, Luka Modric has been tipped for the award after bagging both the“, UEFA Player of the Year“ and the FIFA Men’s Best Player awards but he is expected to face competition from Ronaldo once more. The Portugal international has bagged the accolade in each of the previous two years and he has been touted by many to secure a hat-trick after guiding former club Real Madrid to a third-straight Champions League title. Both Messi and Ronaldo are presently tied on five Ballon d’Or crowns each and the latter has the chance to become the first player ever to secure a sixth title this year.